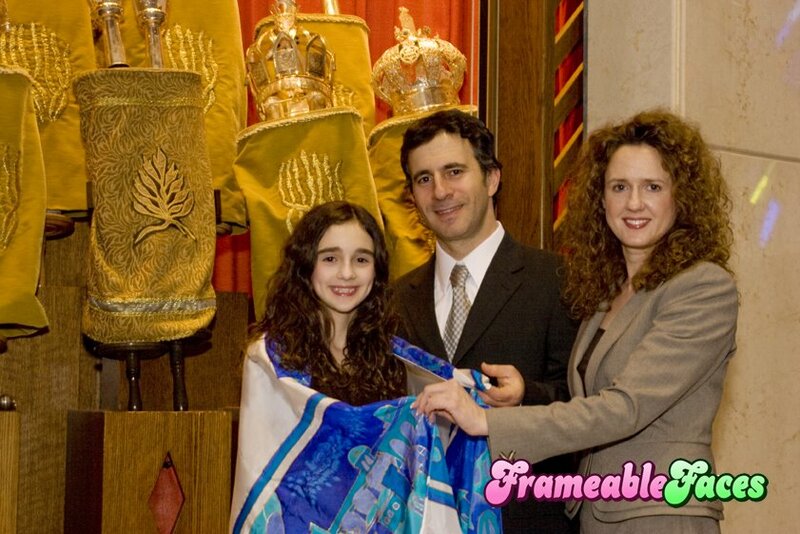 S’s Bat Mitzvah sneak peak…As promised! This weekend, I had the pleasure of photographing S’s Bat Mitzvah. Isn’t she beautiful!?! On Thursday, we had the rehearsal where I got to meet the family, S’s Dad and her adorable younger brother, E. We had the BEST time together! S and E are just downright hilarious and they are so super close! They genuinely love each other and it shows in every image that I have of the two of them together. It’s just so sweet! S has an unbelievable singing voice – I heard her for just a bit before I had to run out of the synagogue for a lighting seminar later on that night. She sounded so beautiful chanting her Torah portion. Just beautiful! Saturday, brought us to the celebration. S had a bunch of people waiting to celebrate with her – including family all the way from Israel! This is one loved little lady here! She rocked out her party and everyone had a great time. D, S’s mom, was an absolute doll to work with. I know I’ve said it before, but it’s worth repeating here again. I’ll photograph Bat and Bar Mitzvah’s all the time if they continue to go like this one! I had a great time celebrating with S’s family and I felt honored to have been selected to be the photographer for such a warm, loving and fabulous family! Congratulations, S! I hope you enjoy the images!